Tourists are to glimpse many areas of Russia's hidden political heart for the first time. Some restrictions were lifted with the fall of the Soviet Union. But a set of eight new decrees signed by President Vladimir Putin earlier this month means previously off-limit areas of the seat of Russian political power are likely be opened to the public in 2017. The decision by Putin is expected to be popular among ordinary Russians and is likely to fuel an increase in the number of tourists visiting the already busy site, which is the official residence of the Russian president. According to decrees published Aug. 1 there will be an extra tourist route through the Kremlin including access to a new archaeological museum where visitors can see the remains of the Chudov Monastery and Ascension Convent, which were destroyed by the Communists in 1929. Public access points are also slated to be installed in the Spasskaya Tower on Red Square, which houses the famous Kremlin clock, and the Borovitskaya Tower on the complex’s opposite side. An ambitious 2014 plan to rebuild the Chudov Monastery and Ascension Convent — two of Orthodoxy’s most important sites — has apparently been abandoned. UNESCO ranks the Kremlin as a world heritage site, and may have objected to new construction. The remains of the two holy buildings were uncovered earlier this year after the dismantlement of the Presidium building, which was built in the 1930s and formerly housed the Supreme Soviet. “There have been some very valuable archaeological finds ... people assumed that these things had been destroyed forever,” says Konstantin Mikhailov, the founder and head of Archnadzor, an activist organization that helps preserve and safeguard historical monuments. 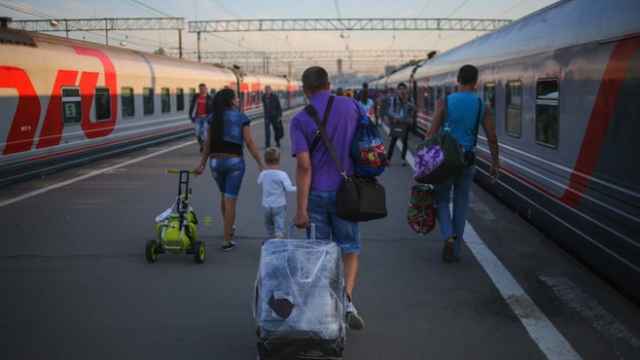 The exact timeframe for the implementation of the changes is unclear, but Putin ordered officials to prepare logistical plans by the end of this year. Apart from two centuries when St. Petersburg was the capital, the Kremlin has been the heart of religious and state power in Russia — and provided the living quarters for Russian leaders. Many of them have sought to leave their mark on the geography of the Kremlin and highlight the more politically expedient aspects of its history. The latest plans are likely to be personally associated with Putin and his 16 years at the top of Russian politics. “There is an interest in history among the leadership of the country and, in particular, the history of the Kremlin,” according to Mikhailov. Soviet leader Josef Stalin ejected most senior officials from the Kremlin after the 1934 assassination of high-ranking Communist party official Sergei Kirov, which ushered in a period of official paranoia and mass killings. Stalin’s successor, Nikita Khrushchev, opened the complex to the public in 1955 as he pushed back against heavy-handed repression. But restrictions on access were re-introduced under Leonid Brezhnev less than 20 years later. “People remember the Kremlin as terrifying and empty,” says Merridale of the later Soviet period. Before the 20th century public access was much freer, and the Kremlin was traditionally considered something of a thoroughfare; this was lost after the 1917 revolution. “People love the Kremlin in the sense that they love the sight of the golden towers. But at the same time you can’t love it because you can’t have it. Their sense of the Kremlin is more abstract,” Merridale says. The latest plans also continue a post-Soviet push to restore buildings and objects in the Kremlin, often linked to Orthodoxy, which were destroyed under the Soviets. As well as creating a museum out of the remains of the Chudov Monastery and Ascension Convent, Putin has ordered experts to look into re-erecting a large cross installed on the site where Grand Duke Sergei Alexandrovich, the Governor-General of Moscow and the uncle of Tsar Nicholas II, was assassinated by the bomb of a terrorist revolutionary, Ivan Kalyaev, in 1905. Putin’s predecessor, Boris Yeltsin, rebuilt the Red Staircase, the royal entrance to the Kremlin’s Faceted Palace, where the coronation ceremony for new tsars traditionally began, in the 1990s. It had been destroyed under Stalin in the 1930s to make way for a canteen. In 2010, a lost icon of Jesus, embedded in the Spasskaya Tower and bricked over in Soviet times, was unveiled during a ceremony attended by the president and the head of the Russian Orthodox Church. More modern additions to the Kremlin’s ensemble of churches and official buildings include a helipad. Built in 2013, it allows the president to fly in and out of central Moscow without the need for a large motorcade. Putin’s Monday decrees also contained an order to look into the possibility of conducting extensive archaeological research in the eastern part of the Kremlin in 2017 and 2018. 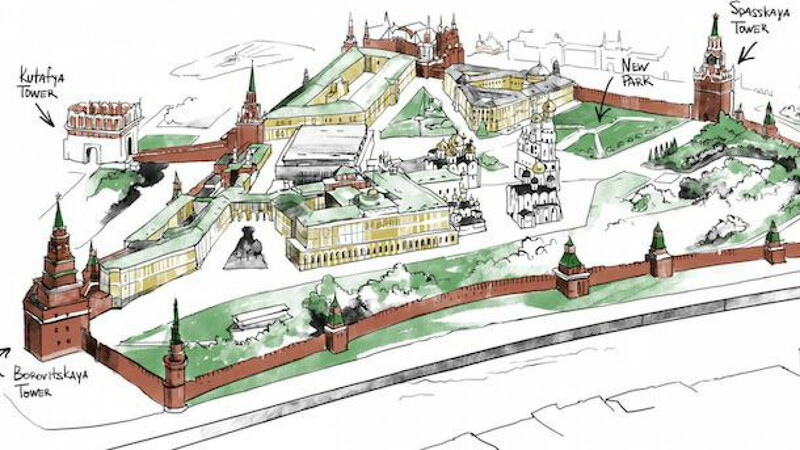 Mikhailov said that if the plans are realized they will be the most significant excavations in the Kremlin since the 1960s. 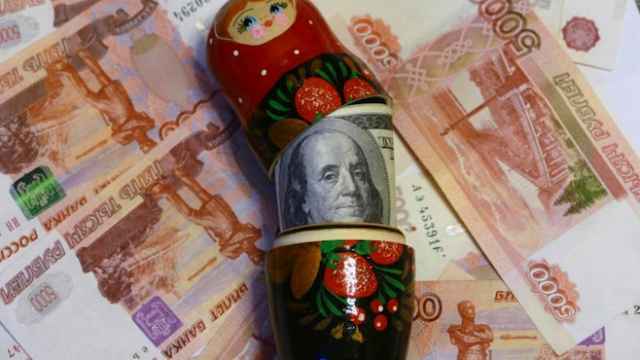 The weakening of the ruble has helped Russia to attract more tourists, the Kommersant newspaper reported Tuesday.